During those cold winter nights, it would be nice to have something to remind you of a warmer climate. 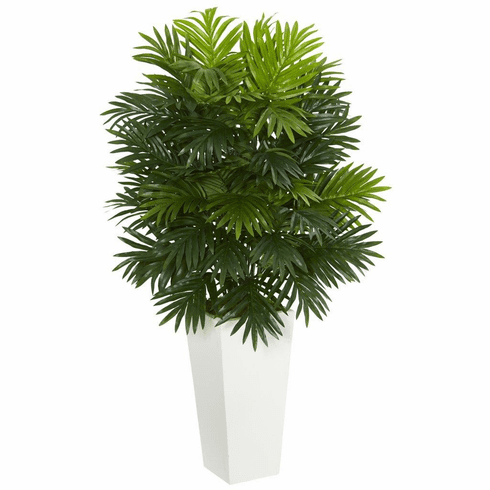 This artificial areca palm plant with its beautifully arranged greenery radiates calm, serenity, and warmth. A white tower planter is included. Size: Height: 40 In., Width: 24 In., Depth: 24 In.